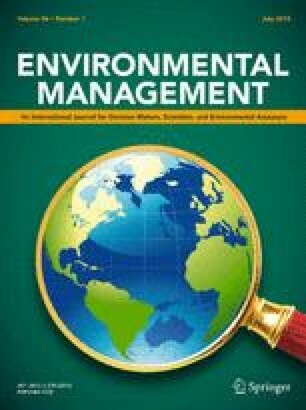 Two frequent beliefs about rural environmental attitudes are examined conceptually and empirically: (1) the common conception that rural environmental concerns are expressed predominantly by wealthy community newcomers; and (2) the related position that long-time rural residents are hostile to the environmental cause. We argue conceptually, through the use of a 2×2 community matrix, that environmental attitudes are equally likely to be expressed by what we term “upper middle income newcomers,” “lower middle income newcomers,” “upper middle income locals,” and “lower middle income locals.” Empirically, we find that although wealthy newcomers express the strongest environmental attitudes in the community, their concerns represent only a small percentage of rural environmental attitudes consisting of respondents who make less than $40,000 a year in household income are over 40 years of age, possess less than a college education, and work in a nonprofessional occupation. This new category expresses environmental concerns at least equal to the rest of the community on three of four measures of environmental attitudes. The findings provide insight into the widespread and cross-sectional nature of rural environmental concern. The implication is that environmental groups will find significant sources of political support in rural communities, provided they craft their environmental message in a language consistent with rural attitudes and values. Things are gettin' bad fast. Easterners and environmentalists comin' down here from the big cities are tryin' to turn our way of life completely upside down.